Yeah yeah, I know one is supposed to say: Sharing is Caring, but in this post I wanted to elaborate a bit more on the fun side of sharing, namely: sharing pictures from within Second Life to outside platforms and..the fun options we have since last April. Note: I am using the LL Viewer, exclusively, so I am not quite aware on how or if this works the same in other viewers! So, since April it is possible to easily share pictures you take in SL to either Flickr, Facebook or Twitter. Of course you do need to have an account on those services, as you need to connect your SL account with one of those – or all, as in my case . It is of course, still possible to share your images on your my.secondlife.com (aka, the profile feed or feeds), but the latter has less fun options, so I will post on sharing with Flickr, Twitter and Facebook. You will find the ‘sharing options’ in two different places in the LL Viewer, either you drop the buttons from the Button toolbar (in ME > Toolbar buttons) to your preferred spot in the viewer, or you use the links provided in the ‘snapshot menu’. In the picture below I show both options in one screen. I have to add when you use the links in the snapshot menu, it will open a new menu – which is the same as the one when you would use the designated toolbar button. Hence, I have the toolbar buttons in my viewer, for my convenience but it is of course personal! When you, let’s say in this example, want to share pictures directly to Flickr, all you have to do is click the Flickr button and a snapshot/sharing menu will appear. The first time it will ask you to connect to your Flickr account, so keep your password near…it will take a few minutes (in my case it was really fast) and then you are good to go. Same goes for Facebook and Twitter. The fun part is beginning, well for me….As you see there are 2 drop down menus, one is for choosing a size of the image and number 2 is a list of some photo-filters! YES! 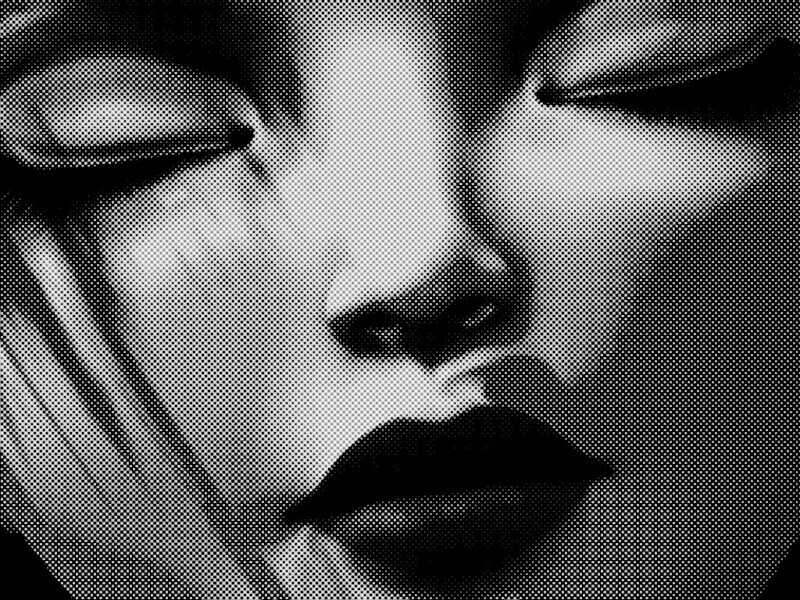 You can….process/edit or how you want to call it, a picture when in Second Life! 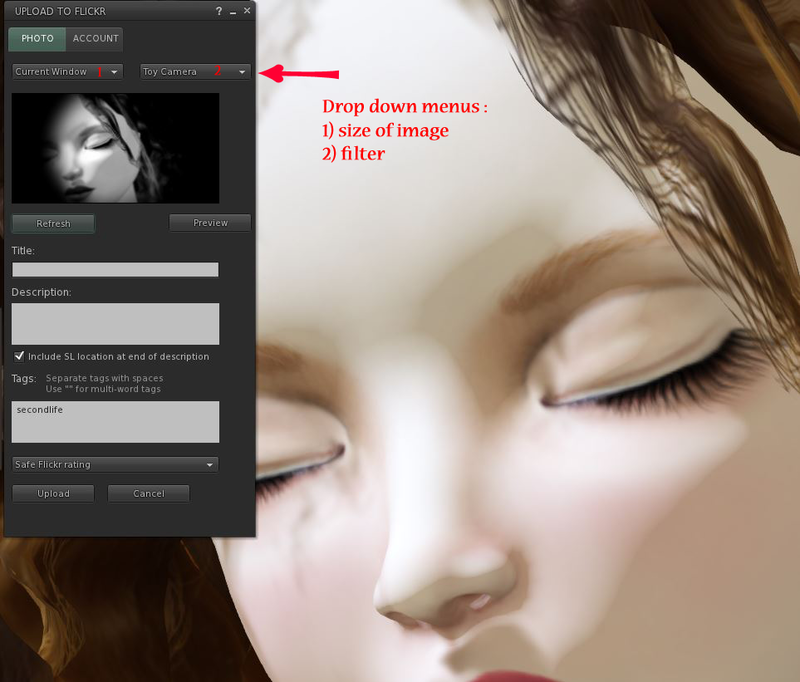 No photoshop needed, no saving to harddisk…just choose a nice filter and make your own art in the blink of an eye! Now, how cool is that? (Can you tell I am excited?). In this example, you see I picked ‘Toy Camera’ as a filter and the menu gives a preview of the endresult, in a small window but it gives an idea. If you don’t like it, just open the filters again and browse. You can then add a title and if you want a description and also: location with slurl is an option. By default it will show the location, so if you prefer not to publish that (because it is your home or some other place you do not need to advertise..), you need to untick it. Tags and rating…all possible to edit and then it is a matter of : UPLOAD and within some seconds your image will be on your Flickr/Twitter/Facebook stream! I have been playing around a bit with some filters and sizes, and they are on my Flickr, so here two examples of direct uploads, giving a new meaning to the term: ‘raw upload’…:). I say, happy sharing and have fun playing with this!